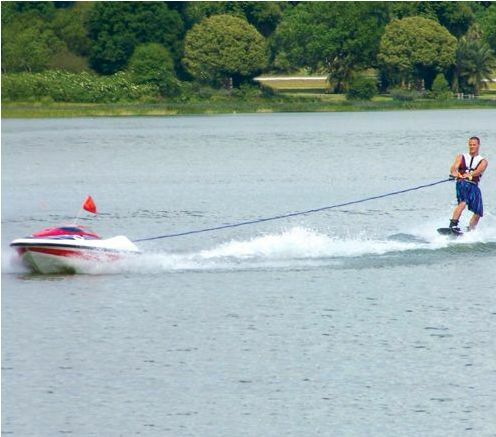 This is the unmanned water skiing boat that’s controlled entirely by the skier. A six-button control panel on the tow rope handle sends signals to the boat, allowing skiers to start, accelerate, decelerate, turn, or stop the vessel with slight thumb movements. 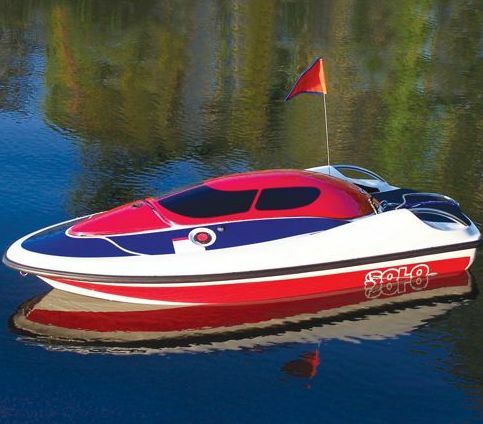 The nearly 8′-long boat has a three-cylinder, two-stroke 70 horsepower engine with jet pump and axial flow propulsion, generating speeds up to 40 MPH and creating wakes for jumps and other tricks.